The Supreme Court bench of Chief Justice Dipak Misra, Justice Abdul Nazeer and Justice Ashok Bhushan on Tuesday directed the 13 appeals from the 2010 Allahabad High Court judgment in the Ram Janmabhoomi-Babri Masjid matter to be listed for further hearing on February 8. “On August 11, the apex court had granted 12 weeks’ time for filing English translations of all exhibits. However, even the documents pertaining to the depositions and the pleadings in the title suits before the trial court are not complete. As per the office report of the Registry, the service of process has not been effected in numerous appeals. There are 19,000 documents that are needed to be brought on record. We need time to prepare and argue the matter”. The senior counsel referred to the 2014 election manifesto of the Bharatiya Janata Party in so much as the party promised therein to undertake the reconstruction of a temple devoted to Lord Rama at the disputed sight in Ayodhya. “Please set the date for further hearing on July 15, 2019, after the 2019 Lok Sabha elections. We promise we will not seek adjournments on any grounds then,” he said. 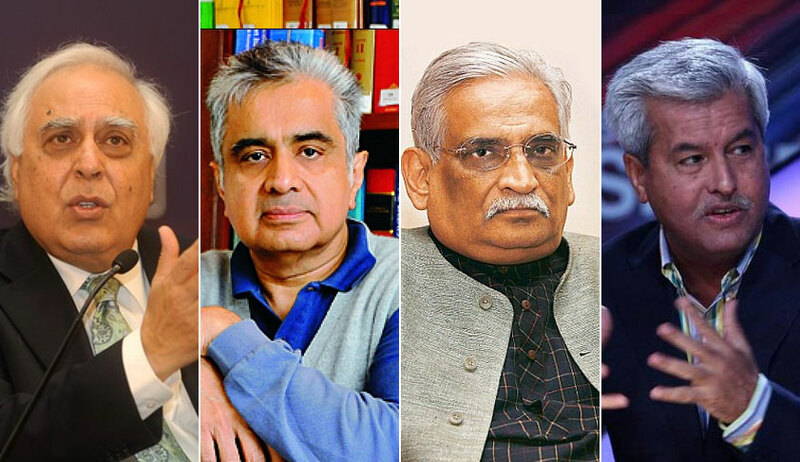 In response to the above contention, senior counsel Harish Salve, appearing for Ram Janmabhoomi Trust, remarked, “The matter before this bench is a first appeal. This is the just the first round. If during the course of the hearing, the issue of the significance of the status of a mosque resurfaces, then a larger bench may be constituted. In the landmark judgment of the Kesavananda Bharati case, a 13-judge bench ruled in favour of referring only substantial Constitutional matters to large benches of 5, 7 or more judges”. “Mr. Salve has himself made the identical argument for reference to a larger bench numerous times. This matter should be heard by a bench comprising of 7 senior-most judges of the Supreme Court. That will send out a strong message”. The bench perused the status report pertaining to the filing of documents in the 13 appeals before the top court and fixed February 8, 2018, for the matter to be next listed for further hearing. ".... we are compelled to note that Mr. Sibal, Dr. Dhavan and Mr. Dushyant Dave sought leave of this Court to recuse themselves from proceeding with the argument. We declined the said permission and we must say, that they accepted. If we permit ourselves to say so, the submission was shocking and surprising and when we proceeded to record so, prayer was made not to do so and we, accepting the fervent request made by the counsel, refrain from recording so. The Advocates-on-Record appearing for the parties have assured this Court that they will sit together, work in harmony and will see to it that the documents are filed within a time frame, if not already filed. If any part of the pleadings are required to be exchanged, that should be exchanged so that there will be no adjournment on this score, and hearing in the case can commence. The documents shall be numbered by the Advocates-on-Record. They shall file a common memorandum when all documents are ready. If there is any problem, they may contact the Registry of this Court. If required, the Registry shall permit inspection of documents by Advocates-on-Record for both sides".